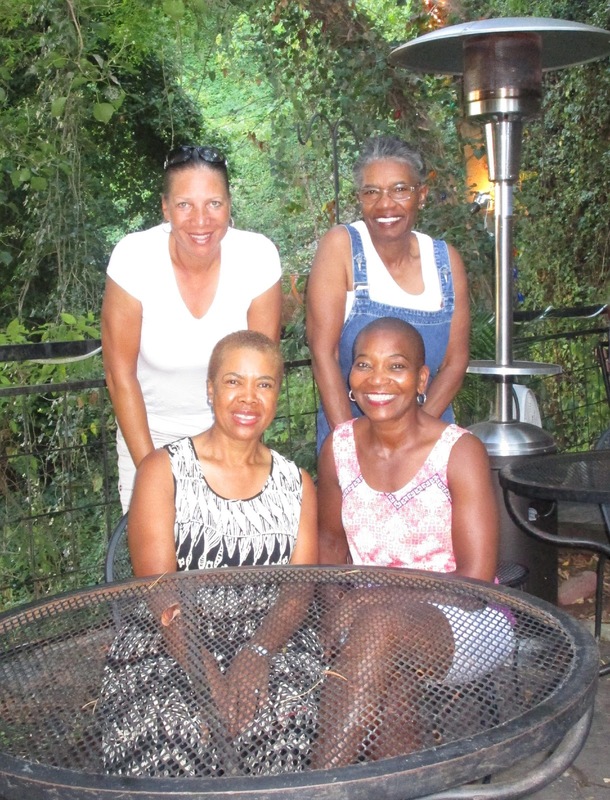 SOTL members Janet Johnson, Lynda Donahue, Lesley Stewart and Evelyn Wesley took to the skies to Hot Springs Village (HSV), AR http://hsvpoa.org/ for an amazing Road Trip that some of us are calling one of the best trips of our life! 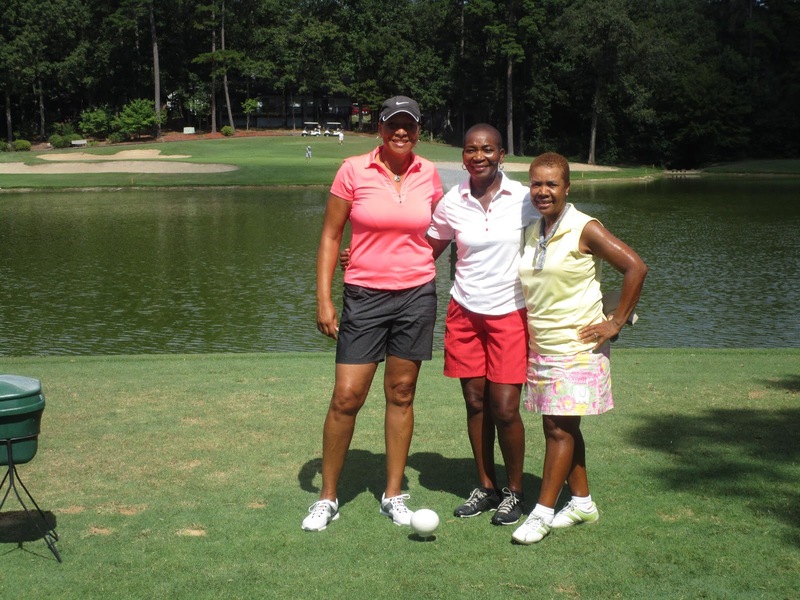 I have played golf in HSV over 20 years and have never had the pleasure to play golf in the village with Sistas! And I must say it was an amazing and loving experience! 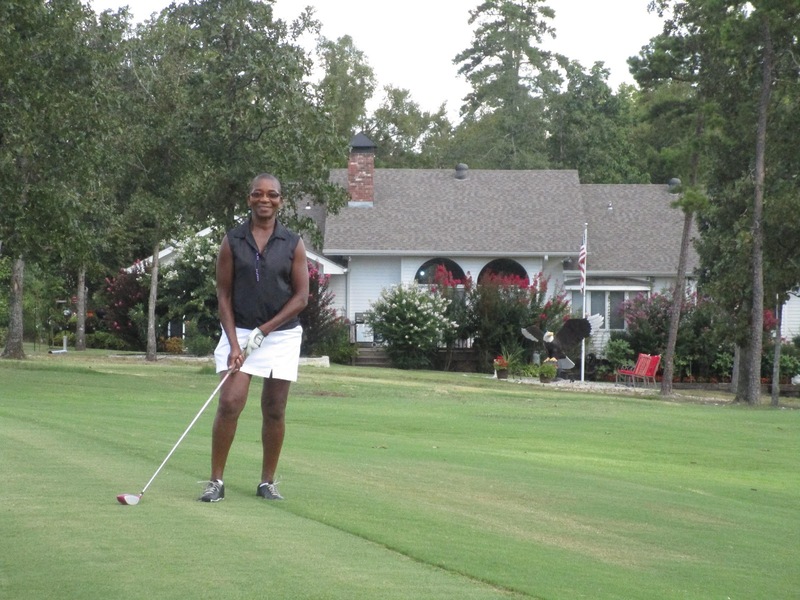 The first day of golf was Monday, August 10th – 10:04a.m tee time on the beautiful Ponce De Leon Golf Course. http://hsvpoa.org/golf/courses/ponce-de-leon-golf-course/. I missed the opportunity to take a picture on the course but here is a picture on the 19th hole with my friend Sam. Day three was a day off for me. 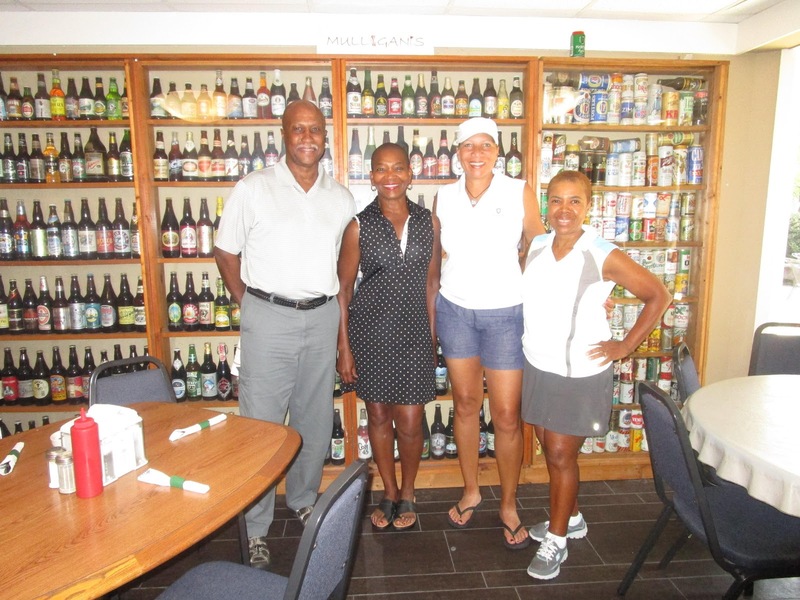 I could not hang for three consecutive days of golf but Evelyn, Lesley and Lynda played Isabella Golf Course. After they finished golf we all took to the Spa City of Hot Springs for a Mineral Bath and Massage at Quapaw Bath and Spa http://quapawbaths.com. Then we headed for a wonderful dinner still glowing from our Spa treatment – look at our glow! After playing Coronado Golf Course Thursday we headed to Little Rock to tour the President Bill Clinton Presidential Library. 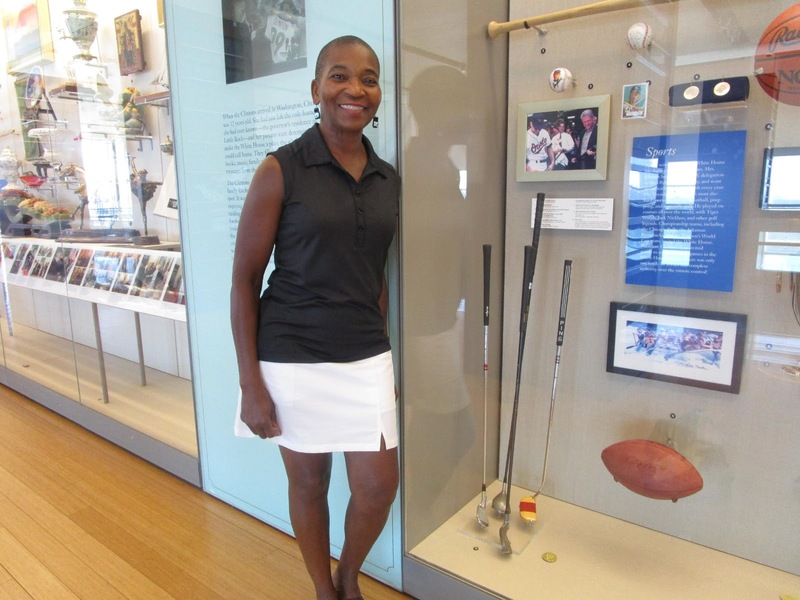 I thought it was fitt ing to take a picture next to the President’s golf clubs. With Friday approaching and the knowing that this would be the final day of golf in this beautiful village I started to feel sad. But Friday was one of the most amazing days of golf in my life. I played my first 36-holes of golf! When we left the resort Friday morning at 7:15a.m, playing 36-holes of golf was not in our plans. 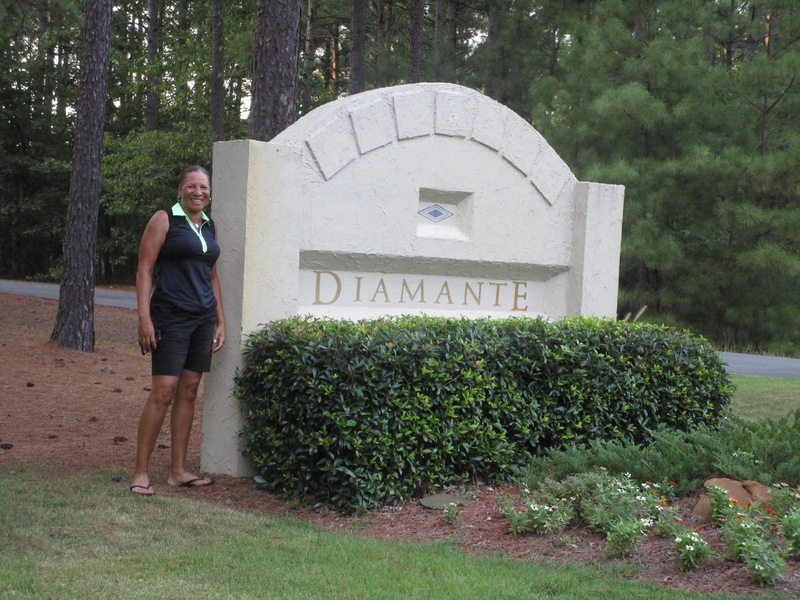 But we got the opportunity to play on a private country club, Diamante. The call came in to play Diamante when we were on the 12th hole of Granada Golf Course (me on a golf hole at Granada) my 2nd favorite golf course in the Village. As we drove off our last hole of golf at 7:30pm on Friday, Lesley (our driver for the trip) stopped the Mini-Van for one last photo! We all planned to return to HSV next year. Hope some of you will join us. Copyright 2019 SISTAS ON THE LINKS (SOTL)	A WordPress.com Website.